The tax increases are small. The violent reaction is really about Emmanuel Macron. Protests against a fuel tax increase in France have morphed into violent demonstrations against the presidency of Emmanuel Macron. This weekend alone, 260 rioters were arrested in Paris, where cars were set ablaze and stores looted. A woman was killed in Marseille when a protester threw a tear gas canister through the window of her home. The so-called Yellow Vests movement, named after the fluorescent safety vests French motorists are required to keep in their cars, started in opposition to higher taxes on diesel and gasoline. The increases are meant to help France meets its climate goals. Diesel tax would rise 6.5 cents per liter, gasoline tax 2.9 cents. Leonid Bershidsky of Bloomberg calculates that the average motorist would end up paying €13 more per month. Hardly worth setting Paris on fire for. The movement isn’t really about taxes then. It is that they have become a symbol for reactionaries who feel Macron has ignored them. The tax hike disproportionately affects residents of rural areas and small towns who often have little or no public transport available to them and many of whom voted against Macron in 2017. At the time of his election, I argued that Macron’s challenge would lie in the “forgotten France”. As was the case in America’s presidential election and the Brexit referendum a year earlier, the old left-right divide in French politics gave way to a new cleavage which pits college-educated, middle-class and urban voters who are generally optimistic about the future against those who feel left behind. Some of the reaction is driven by fear and racism, which is stoked by the far right. Some of it is driven by neglect, which is stoked by the far left. The forgotten France has legitimate grievances. Industries have left. Opportunity has been concentrated in the major cities. A college education has become a passport to prosperity. But Macron has not ignored this. 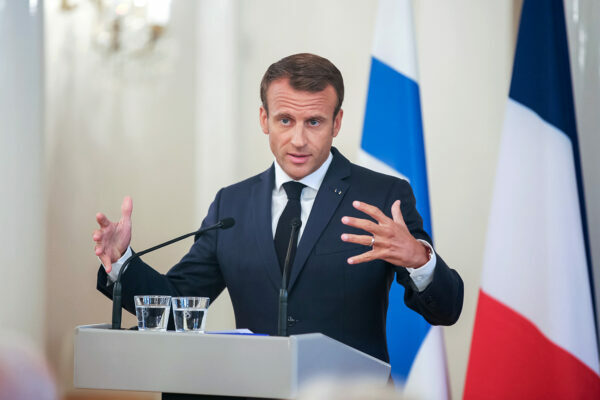 He has liberalized labor law to make it easier for companies to hire and reined in labor migration from Eastern Europe to protect low-skilled workers in France. He has allowed bus services to compete with rail to make intercity transport cheaper. He is shaking up the state-owned railway company, where workers have for years enjoyed automatic pay rises and early retirement but where investment in commuter routes has languished. Among his next projects are decentralizing education, so schools can pay more attention to vocational training, and convincing the EU to spend more money on social projects. All this helps the left behind. Perhaps the only mistake Macron made was cutting corporate and wealth taxes early in his term, which owed him the moniker “president of the rich”. That perception has stuck. Judah Grunstein writes in World Politics Review that politicians are keeping their distance from the Yellow Vests. The right-wing Marine Le Pen doesn’t want to discredit the movement and its narrative of a spontaneous mass mobilization by associating it with her party. The far-left Jean-Luc Mélenchon fears being discredited by the movement should its shadowy origins prove to be driven by unseemly — read, far-right — interests. That makes it hard for Macron to negotiate. As Politico puts it, the old France of strikes, demonstrations and barricades is back, only this time there is no militant leader with whom to strike a deal. Demands from self-proclaimed grassroots leaders include everything from the abolition of the Senate to the reform of asylum law. Macron’s response has been twofold. On the other hand, he has promised to make fuel tax less onerous when global oil prices are high. He can’t do much more than ride this out. Macron isn’t up for reelection until 2022. His hope is that by then his liberalizations will have borne fruit and voters see the wisdom of his policy.